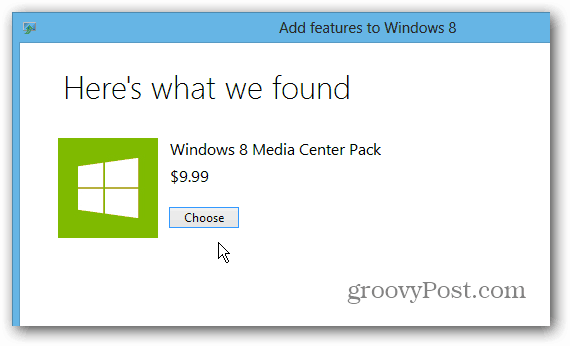 Windows 8 doesn’t include Media Center, but you can install it as a separate download pack. And Microsoft is offering it for free until January 31st. Windows 8 doesn’t include Media Center like its predecessor, but you can install it as a separate download. And the grooviest part is that Microsoft letting you download it for free until January 31st. 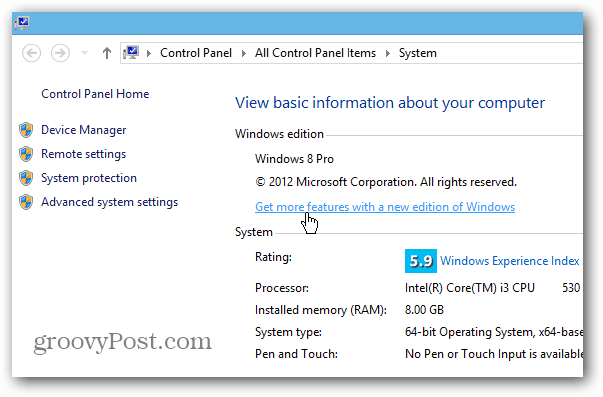 Note: You’ll need to be running Windows 8 Pro to install the Media Center pack. Earlier this year we covered how to install Windows Media Center on the Release Preview, and while the steps are essentially the same, there are some differences to note. 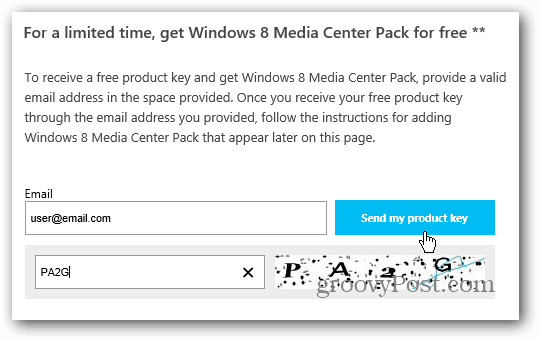 To get Windows Media Center (WMC) for free, head to Microsoft’s special offer site and enter your email address. You’ll get a message telling you the key will arrive within 24 hours and to check your junk folder for it just in case. In my case, it took several hours for Microsoft to email me the product key. I’m not sure why it takes so long, but keep this in mind when you go to set this up. You might not be able to get it done in one sitting. After you get your key, there are a couple way to install the Media Center Pack. 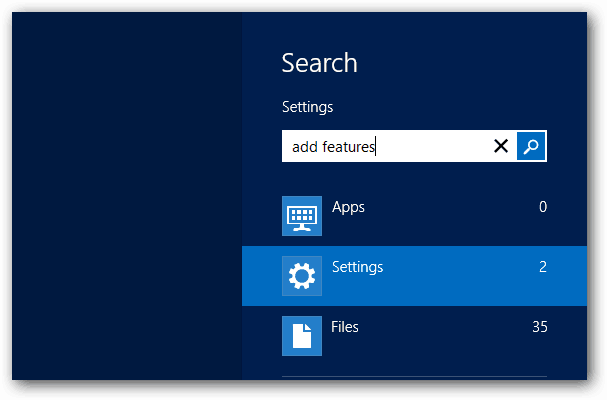 Use the keyboard shortcut Windows Key + W to bring up Settings Search and type: add features. Then click the icon under the search results. 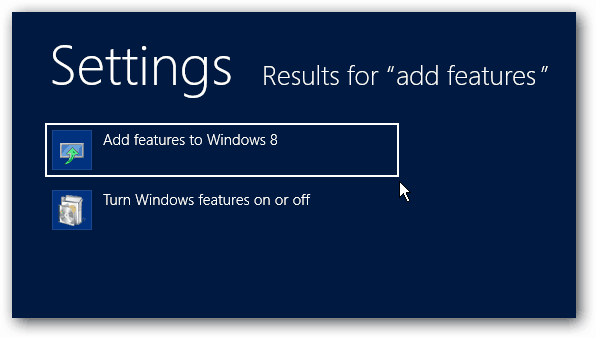 Alternately, from the Desktop select System from the Windows 8 Power User menu. Then click “Get more Features with a new editions of Windows”. Either way, you’ll get to the following screen. 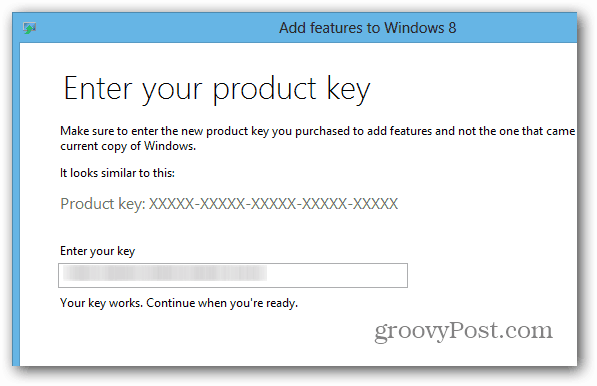 Click “I already have a Product key”. Then copy and paste in the key Microsoft emailed you. They key will be confirmed, then click Next. 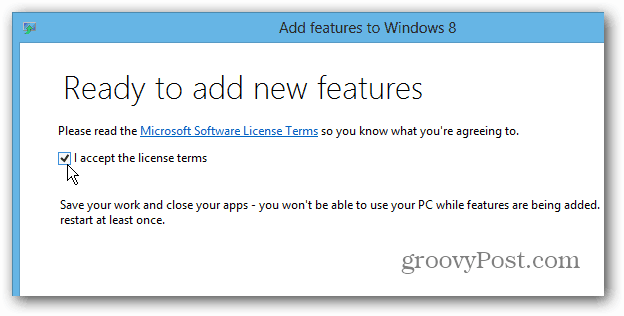 Next agree to the license terms and click Add Features. 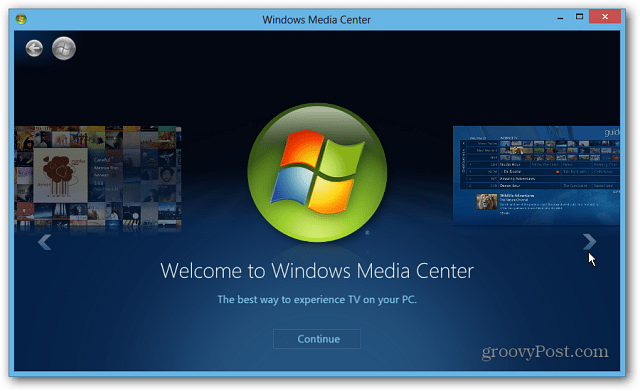 Windows Media Center will be installed on your computer. Keep in mind that your system will reboot at least once during the process. After installation is complete, you’ll find the Media Center tile on the Start screen. 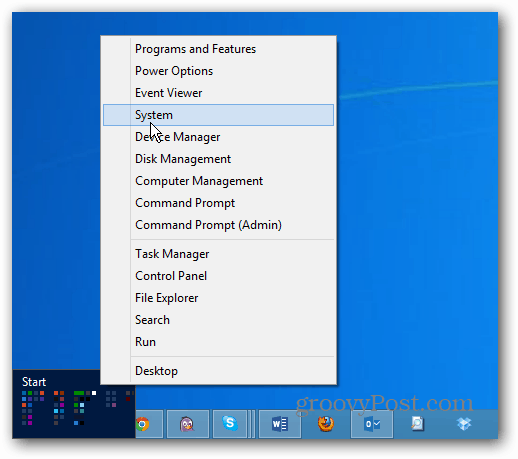 To access it easier from the Desktop, pin the icon to the Taskbar. Now you can go through and set it up. By the way, you can still stream WMC content to Xbox 360 from Windows 8. Hopefully you’re able to get the Media Center pack while Microsoft has the free offer – available until January 31st, 2013. After that it looks like the pack will cost your $9.99 – of course that could always change. Thanks, Brian! Always good to get a freebie from Microsoft. They must be in Christmas mode already. Whoa! You bet Ziggy. 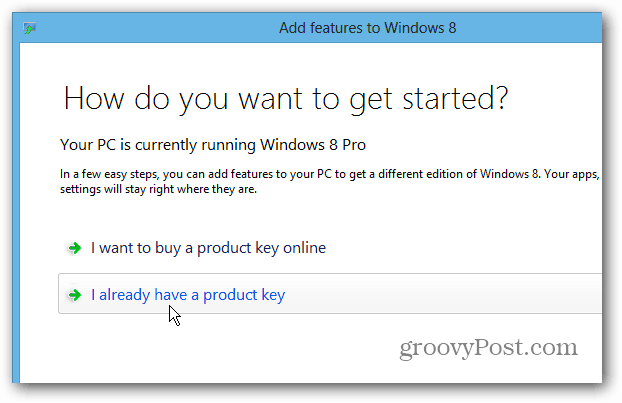 Actually, MS should just have included it in Win8 imo … but I understand they are moving forward. Hopefully, you see this, but I was wondering if I could reinstall the freebie even after I activated it already. My laptop was stolen but I was able to get someone to set up a program to wipe my computer. I been using windows 8 but can I still use the code to reinstall it? I’m still in the process of finding the code in my backup.